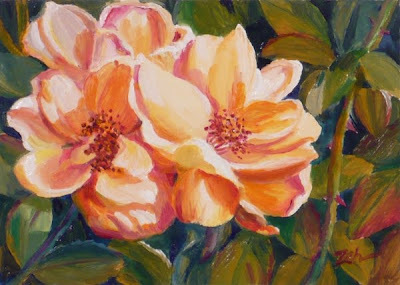 This painting is of beautiful yellow roses from a friend's garden. I can't believe roses are still blooming in November in New England. No complaints! This painting has been sold. Take a look at more of my art for sale in my shop: JanetZeh.Etsy.com. Thanks for stopping by and have a lovely day!